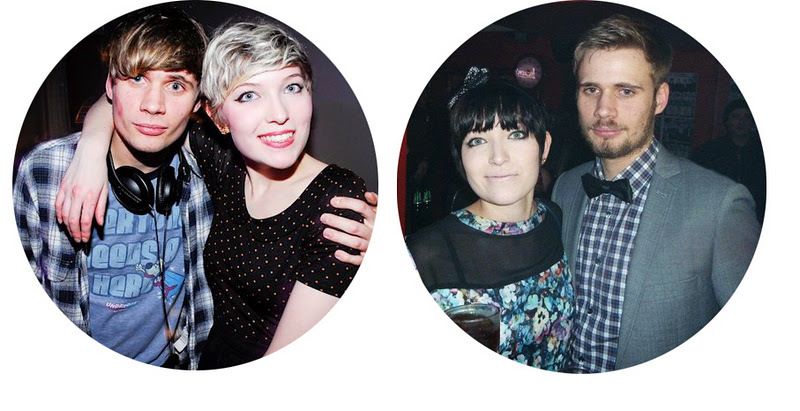 These photos of my boyfriend and I were taken on nights out, the second was taken approximately a year after the first. It's so strange how different we both look after just one year! I'm trying to work out which looks I prefer most, and to be honest I can't decide! I don't really miss my blonde hair because it made my hair bad condition and I think it washed me out a little...but after comparing these images I don't know which hair colour suits me more!? As for Craig, his newer more mature look is great, and I know he LOVES his beard, (ergh), but I do miss my baby faced boy with the cheek bones to die for! I think his beard covers his face too much...what do you think!? Has your appearance changed much in the last year? i like your blonde hair more than the black, although black hair suits you as well. But as Charmaine said, it makes you look much fresher. And i like it how u wear your bangs on the side. wow, what a change. inspiring post! Both looks are great and its hard to pick. I think the dark hair on you is pretty harsh, especially with the straight bangs. Id say something in between, not that light but not that dark? I myself is week for anice beard, which that is, but as you said, those cheekbones could cut someone.